What is Overcrete Resurfacing Complete? 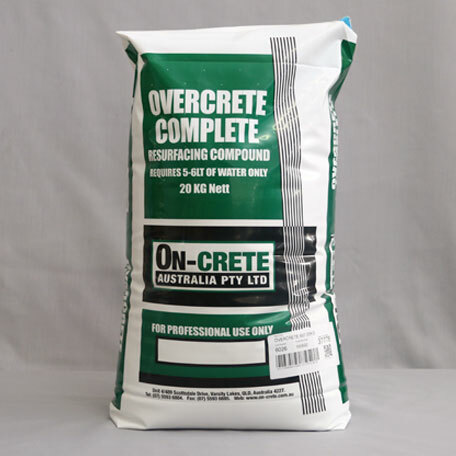 Overcrete Complete Resurfacing Compound is a dry powder consisting of graded sand and polymers, specially designed to rejuvenate existing concrete. It’s a non-coloured powder that’s mixed with water and 1 bag of your choice of colour tint (23 to choose from) prior to application. It must always be applied over clean, sound and dry concrete. It has excellent durability with little maintenance, and maintains an excellent adhesion to most concrete and masonry surfaces. Available in almost any colour and pattern of your choice, Overcrete Resurfacing Complete can be introduced as a safe anti-slip coating. Create a whole new look for your garage, patio, driveway or paths with Overcrete Complete Resurfacing Compound. To find out more about this versatile product or to obtain a free quote, simply fill out the form below or call On-Crete for details on 07 5593 6885.